The book Buddha’s Brain: The Practical Neuroscience of Happiness, Love & Wisdom was published in 2009 by Dr. Rick and Hanson and Dr. Richard Mendius with the intention of blending the latest findings in neuropsychology with a general framework for healthy living. The piece was designed to be a comprehensible, accessible book aimed at helping a large audience understand both how the brain works, and how individuals can “manage” our brains to live effective, happy lives. This original purpose for Buddha’s Brain is all well-and-good, but further examination from the perspective of a dispute resolution professional reveals that the book provides many practical insights consumers and practitioners of ADR can use to help move their conflicts forward. Written with direct, succinct prose, Buddha’s Brain gives us a peak into how our brains handle conflict, and thus into different ways ADR professionals might consider managing the dispute resolution process. One of the unique aspects of Buddha’s Brain is that it approaches the study of the brain and our emotions from a combination of perspectives, at times waxing on in philosophical discourse and at others using the tone of a pragmatic scientist, focused on the precise nature of the physiological structures being discussed. Reflecting this variegated approach, Buddha’s Brain touches on several topics directly applicable to today’s mediators, including discussions on the negativity bias of memory, how “empathy” actually occurs on a neuronal level, and how the brain tends to incorrectly attribute others’ intentions. Have you ever been in a situation where your relationship to a person, place, or organization became so soured that it became exceedingly difficult to remember any of the positive attributes that drew you together in the first place? Chances are you have. As the authors put it, our brain is “like Velcro for negative experiences and Teflon for positive ones.” This effect compounds with previous negative experiences – literally every negative experience we have with, say, a particular person, causes neuronal circuits to fire and become more and more ingrained into our brain. With enough repetition, our brains become literally “wired” to focus on, process, and make decisions based on the negative attributes of that person. This effect doesn’t just apply to other people, and can occur with any source of negativity, including entire organizations, places, or traumatic events. For the ADR professional, it’s important to understand that many clients will have spent a lot of time growing and ingraining “negative circuitry” in their brains. Any experienced mediator knows full well the extent to which two sides can remember and recall completely different versions of events. The fact is, both sides may well be telling us the whole truth as they perceived it! While both sides may have begun their conflict with similar perceptions, repeated firings of their neural pathways may have literally “wired” them to filter subsequent events in a negative way, eventually leading to direct conflict. Understanding this process is more than just another way for mediators to understand clients and build rapport. If mediators see that clients are having trouble finding positive aspects of a previous relationship, and if trying to encourage a future relationship is important for resolution, neutrals can act on that knowledge. After a little rapport building to set the tone, taking simple steps such as asking clients about the past relationship with other parties, or asking a simple question such as, “What were the positive aspects of ‘x’ that first brought you together?” not only shows genuine concern, but also may just reorient parties to think differently about the other side – if only during mediation. These sorts of questions help to “short-circuit” their negative circuits, and can help the parties mentally unweave themselves from the negative thought processes that have kept them from resolution thus far. One of the most important skills a mediator has is the ability to express genuine empathy and thus build rapport with all sides to a conflict. Buddha’s Brain provides great insight into how our brains process empathetic thoughts and feelings, and how mediators can maximize their ability to be as empathetic as possible. When a mediator enters a session, one of the first jobs is to listen to all of the “stories” parties have, and to quickly establish a genuine respect and trust with all sides. Many experienced mediators become so used to the routine that they stop consciously thinking about “being empathetic,” and this may be a mistake. When we consciously think about “being empathetic,” we engage the planning centers of our brain (pre-frontal cortex) to focus our attention on being empathetic in the situation. We further start “warming up” the limbic system of our brain – the seat of emotion and reward – to be ready for a “reward” of satisfaction from a successful mediation should we be empathetic. Literally, the conscious thought “I want to be empathetic now,” puts in motion many neural processes which can assist us in our task. Finally, throughout the process of rapport-building, it is useful for mediators to continually “check-in” on how empathetic they are being from time-to-time because doing so activates a powerful region called the anterior cingulate cortex, which “pays attention to paying attention.” These are all subtle processes that mediators can consciously control without anyone else in the room noticing. With practice, you’ll find that the habits you’d previously developed to build rapport have been enhanced by these new “mental habits,” which will magnify all of your mediation skills during session. One concept often cited in conflict psychology is the fundamental attribution error – where people tend to attribute positive things in their lives to themselves and negative things to others or events, and vice versa for others. The fundamental attribution error can be a powerful influence on an individual’s perception of their conflict, and thus can powerfully influence any ADR professional’s attempts to help that individual move past the conflict. Buddha’s Brain explains how neuroscientists have linked this and other attribution errors to the same prefrontal cortex discussed just above. In addition to being the seat of planning and logical coordination in our “higher function” brain, the pre-frontal cortex also plays a crucial role in our ability to think about others’ intentions or perceptions. Neuroscientists call this ability “theory of mind,” and it is one of the fundamental abilities that separate humans from other animals on this planet. Unfortunately, our prefrontal theory-of-mind networks are far from perfect, and often humans incorrectly process assumptions about other people’s intentions. Even more, humans often link those incorrect assumptions to overall processing and logic about a situation, and never question the assumptions (the attributions) in the first place. Our brains are not efficient at attributing the intentions of others. ADR professionals regularly encounter parties who have made many attributions about what other parties have done and said. Lawyers also make attributions about other lawyers in an attempt to be able to predict the other side’s next move. And here’s the lesson: Allowing parties to make attributions about other parties is a huge risk, especially after the first few caucuses. Why? Because our brains just aren’t good at it (as many mediators have no doubt learned through the experience of watching parties try to “predict” the other side). Moreover, when parties are wrong about the intentions of other parties and act accordingly, the other parties almost always become confused, frustrated, and then they begin attributing right back. Pretty soon, parties have fully activated prefrontal theory-of-mind networks unsuccessfully trying to predict the other’s actions. Everyone can quickly lose sight of the big picture. For mediators, part of the job is to be the “go-between” when necessary, and Buddha’s Brain suggests that this responsibility should probably include both clarifying the intentions of all sides and then making sure that all participants act only on what they know, and what they can control. After all, the parties sought dispute resolution so that there would be a go-between, orienting and re-orienting to all parties’ needs. It is important to help all parties understand that the neutral’s role includes managing the intentions of everyone, so that no one party has to worry about it on their own. Reorienting parties’ expectations in this way helps them stay focused on making manageable, healthy decisions, and keeps them away from unproductive cycles of incorrect theory-of-mind guesswork. There are many other sections of Buddha’s Brain that can be directly applied to ADR practices, and we at ADR Times encourage you to pick up a copy and see for yourself. 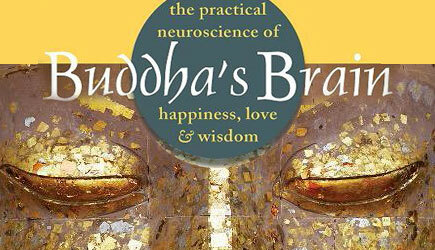 More than that, Buddha’s Brain is a great resource for thought-provoking analyses of many life problems. Who knows, Buddha’s Brain may not only have the power to make you a better ADR professional, it might also provide clarity to other areas of your life.